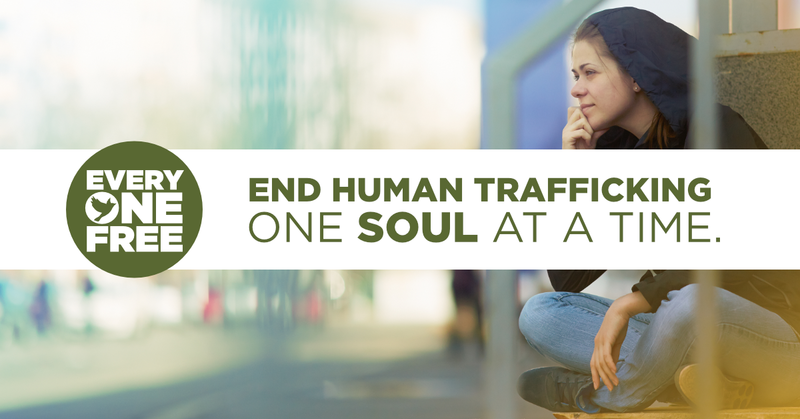 Every ONE Free has been busy recently fighting for freedom in our community, one soul at a time, through donations and gifts to help organizations that are on the front lines of trafficking intervention and youth services. Every ONE Free has had a long relationship with David & Margaret Youth and Family Services in La Verne, CA, a comprehensive social services agency with a special focus on adolescent girls age 11 – 19. At the emergency cottage at David & Margaret Home, we sent a volunteer to redecorate the cottage and were able to provide funding for new bedding for all the rooms, new curtains, new bathroom towels, and decor. The cottage that underwent this beautification project houses 10 girls that are removed from their situations and need shelter immediately — some are trafficking victims and some are foster girls, vulnerable to traffickers. We love being able to give back to this amazing organization in this way. Also, we were recently able to buy 25 bags for young boys who have been removed from their homes and placed in a new emergency shelter at Haynes Center in La Verne, CA. They are not necessarily trafficking victims, but vulnerable due to their situation. These “Welcome Bags” provide clothes, toiletries, and toys to boys as young as 7 years old. We are able to help these organizations because of your generosity. Thank you! Find out more about how you can make a donation to Every ONE Free or how you can donate a Freedom Bag to help give hope to victims of human trafficking and sexual exploitation.